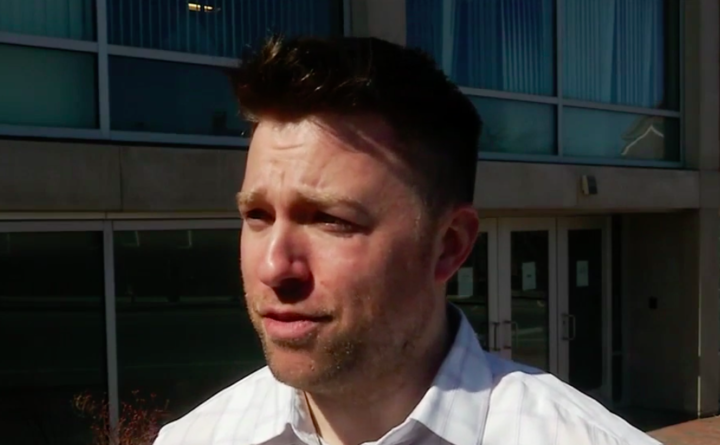 Adam Goldberg, vice president of business operations for the Maine Mariners professional hockey team, talks to WGME, CBS 13, about his team's newly announced affiliation with the National Hockey League's New York Rangers Monday. New York Rangers' Ryan Sproul (25) is congratulated by teammates following his goal against the Carolina Hurricanes during the second period of an NHL hockey game in Raleigh, N.C., Saturday, March 31, 2018. The new professional hockey team starting play in Portland this year will be affiliated with the National Hockey League’s New York Rangers, team officials announced Monday. “The New York Rangers are pleased to begin our partnership with the Maine Mariners,” said Chris Drury, Rangers assistant general manager and general manager of its American Hockey League affiliate, the Hartford Wolf Pack, in a statement. “We look forward to starting a new chapter of professional hockey in our organization and are excited to join with the Mariners as they embark on their first season in the ECHL in 2018-19,” the former Stanley Cup champion and Rangers captain continued. 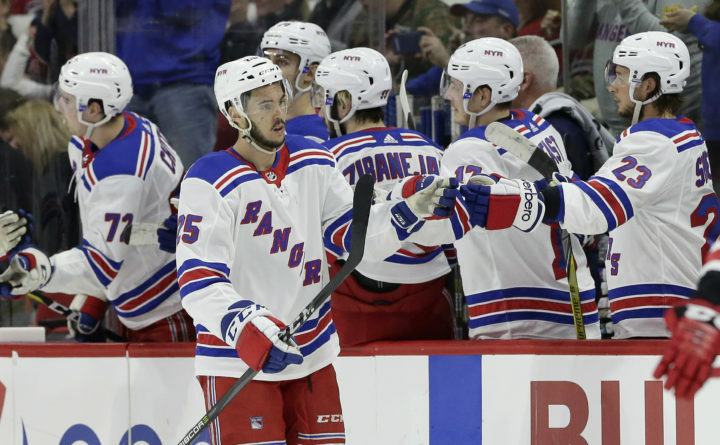 As a minor league affiliate of the Rangers, the New York team will send prospects to play in Portland as they work their way up to the NHL level. The Rangers joined the NHL in 1926 and are one of the league’s storied “Original 6” franchises, along with the Boston Bruins, Toronto Maple Leafs and others. The Mariners replace the Greenville, South Carolina, Swamp Rabbits as New York’s ECHL affiliate, according to the Rangers blog BlueShirtBanter.com. Among the Rangers prospects who spent time at the ECHL level — albeit very briefly — in recent years was goalie Cam Talbot, who was later traded and went on to set the franchise record for wins in a season for the Edmonton Oilers.